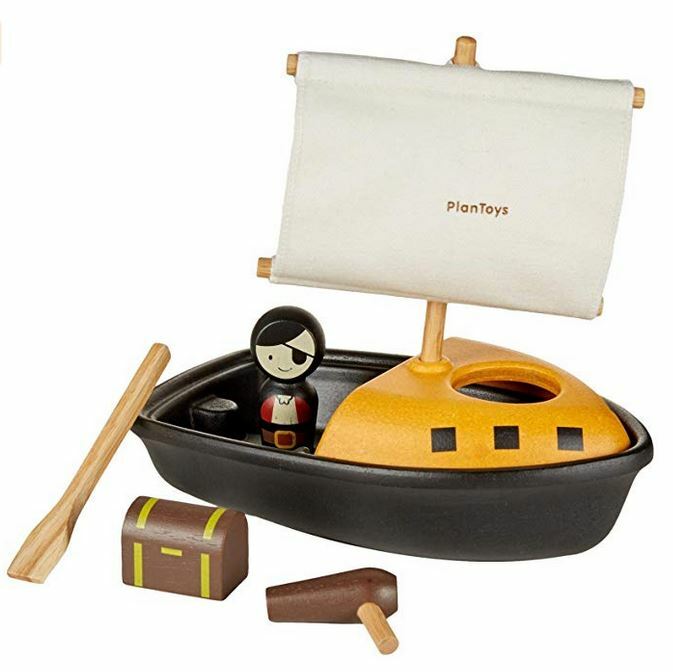 Imagine an adventure to find the buried treasure with this pirate-themed water play set. 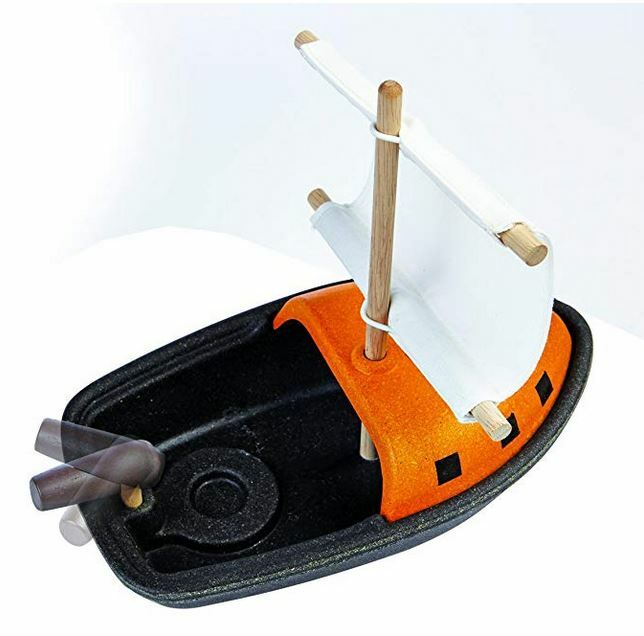 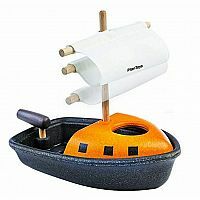 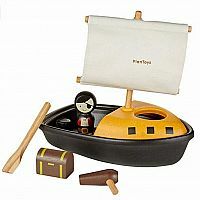 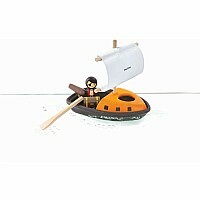 The ship includes a pirate, treasure box, a gun turret, washable cotton sail and paddles. 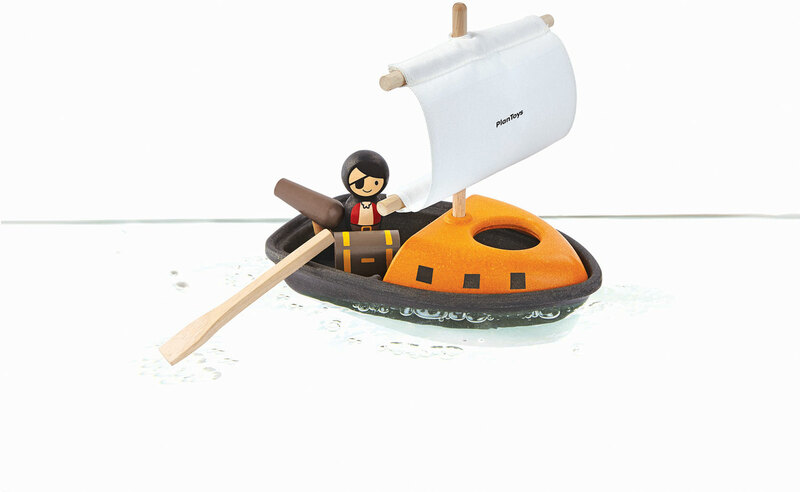 PlanToys uses water-based dyes, a chemical-free kiln-dried process, and non-formaldehyde glue. 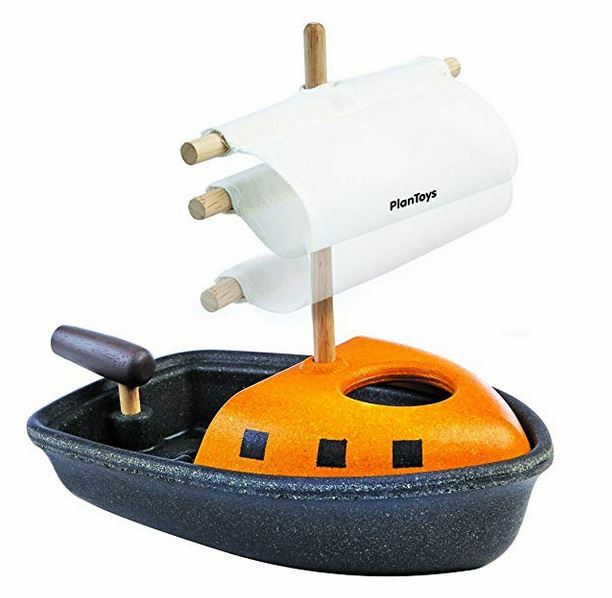 For ages 2+. Measures approximately: 5.00 x 8.43 x 7.54 inches..